This beautiful, pentatonic Aboriginal lullaby comes from Australia's Maranoa region (southwest Queensland). 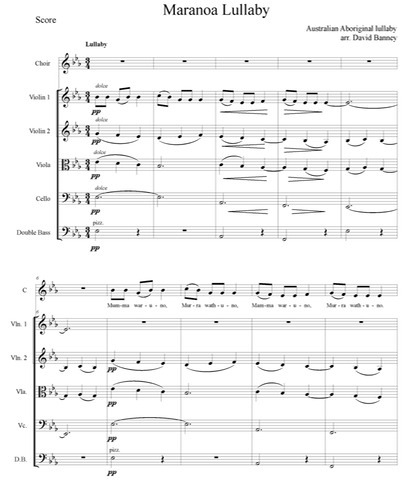 This is a simple arrangement, in which the melody is heard played by the violins at the beginning and again at the end. The choir sings the melody in the middle part of the arrangement.